How do you feel about nachos for breakfast? I feel great about it, especially if they're the chilaquiles at Hotel Jesus which, praise the lord, has finally brought Mexican breakfast to Melbourne. Chilaquiles are a Mexican morning classic, typically made from leftover tortillas that are fried and layered with chicken or chorizo, beans, cheese, salsa and egg. Hotel Jesus does them "divorciados", which means there are two different salsas – red and green – facing off across the plate. Happily, this seems to be a pretty civilised divorce because there's mid-plate salsa-mingling rapprochement. These aren't pub-style loaded nachos, by the way. It would be a stretch to call them delicate but the careful drizzle of crema (Mexican-style sour cream), the sunny-side-up egg hidden under the top layer as though it was behind clouds and ready to peep out, even the dainty scattering of baby coriander across the top ensure this sturdy breakfast is also modest and well-balanced. Other dishes have a bit more glamour. 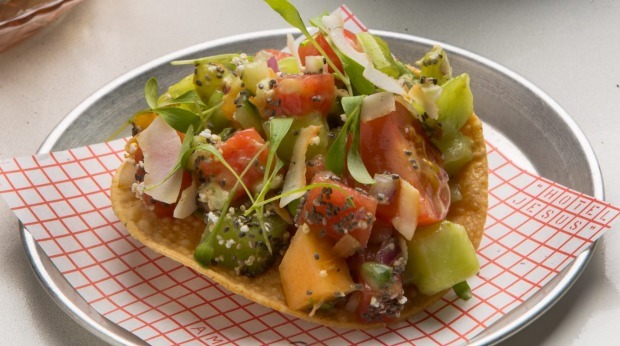 The melon ceviche sees cubed watermelon, honeydew and cantaloupe tossed with lime and chilli, then tumbled with the melon's pickled rind, red onion, cucumber and chia seeds. The flavours recall Mexican street vendors; the presentation is very #cleaneating. 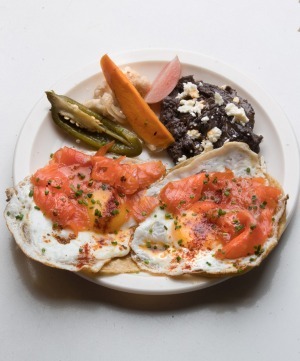 The restaurant is licensed from the get-go so if coffee or horchata (flavoured rice milk) isn't cutting it, you can sip cocktails or souse up with mezcal-cured trout tacos. Soaking the fish in agave liquor actually has more influence on the texture than the flavour, plumping and tightening the flesh, while also adding a tinge of mezcal's signature smokiness. Beans, pickles and soft corn tacos round out this striking and satisfying dish. 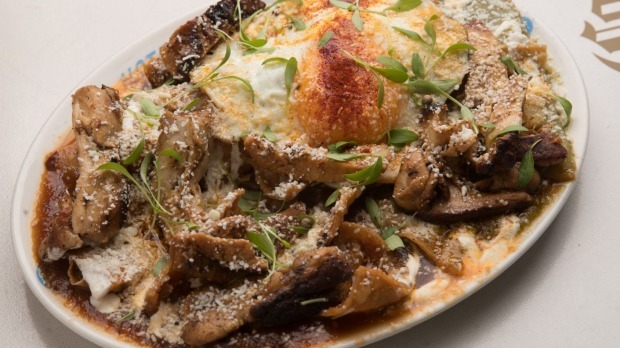 The "big breakfast" banger is the Oaxacan feast, with a chilli stew, beans, a sawn section of bone marrow and fried cheese: it's epic. 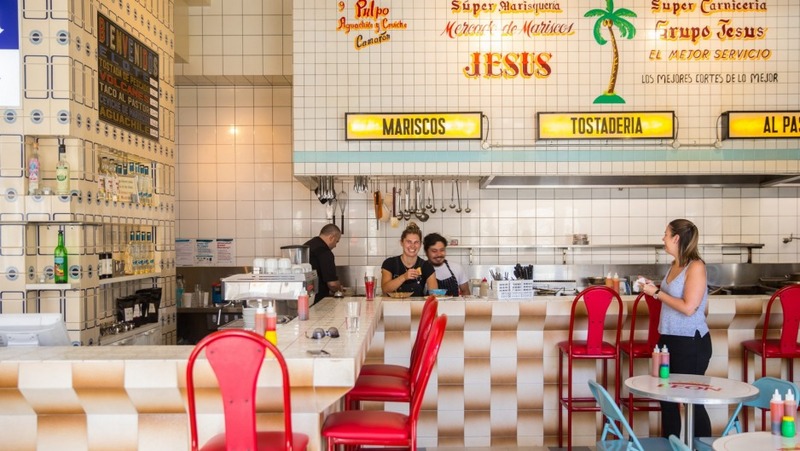 Is there a Melbourne restaurant more colourful and cheery than Hotel Jesus? Opened by the Mamasita crew in the winter of 2016, it turned the old Collingwood Post Office (and erstwhile toy museum) into an exuberant diner with colourful tiles, painted signage and joyously kitschy fittings. Nostalgia, authenticity and a keen eye on Melbourne needs (decent coffee, vegan eats, for example) are cannily balanced to create a fun and approachable restaurant. Weekend breakfast is a new development, and a welcome one. It's a tired trope to say Melbourne doesn't do good Mexican food. Sure, there's a lot you find in Mexico that we simply don't have here – there are 300 indigenous chillies, for example, many hundreds of native herbs, and countless regional variations. I was in Mexico a few months ago and asked a local chef what I should do if I couldn't find epazote, a herb which tastes somewhere between oregano and sorrel with a faint tarry tinge. He thought hard then found his answer. "What should you do?" he pondered. "Cry." Weeping is one option. Another is celebrating those restaurants making a decent fist of Mexican flavours, Hotel Jesus among them. Rating: Three and a half stars (out of five).